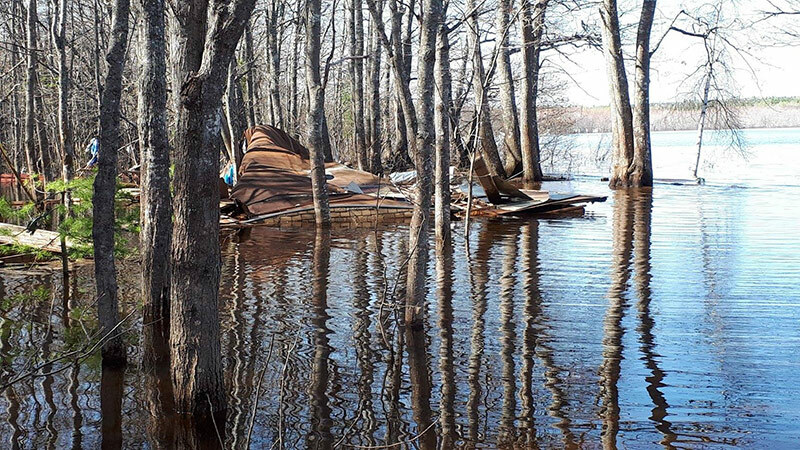 According to the New Brunswick Emergency Measures Organization, an estimated 2,000 to 3,000 people were displaced from their homes during the spring flooding in 2018. A researcher at the University of New Brunswick plans on examining the impacts of this displacement. Dr. Julia Woodhall-Melnik, assistant professor in the faculty of arts at UNB Saint John, is seeking participants from Grand Lake, Saint John and the Kingston Peninsula regions for community consultations. The purpose of these consultations is to recognize and understand the challenges that people in these areas faced during and following the New Brunswick flood in 2018. Consultations are open to residents in all three regions who were affected by the flood, with three sessions taking place: one weekday, one weeknight and one weekend. Dates and accessible locations will be announced once the participants have been selected. Each consultation will be capped at 15 participants to allow for meaningful group conversations. Each consultation will last an hour and a half. This study is funded by The Institute for Catastrophic Loss Reduction. All those interested in participating should contact the principal investigator, Dr. Julia Woodhall-Melnik, at 506-648-5522 or housing.health@unb.ca.